'Mr Turner' leads the nominations for London Critics' Circle Film Awards. 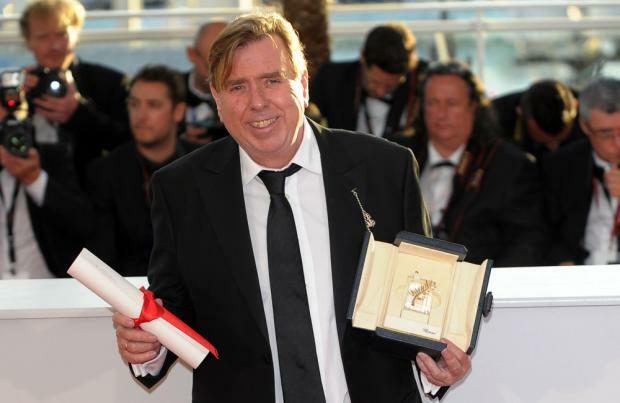 The biopic of acclaimed artist J. M. W Turner is up for seven awards at the ceremony, including nods for Film of the Year and British Film of the Year, as well as individual nominations for lead actor Timothy Spall, co-star Marion Bailey and director Mike Leigh. Comedy movie 'Birdman' follows closely behind having been nominated for Film of the Year, as well as nods for Michael Keaton, Emma Stone and Edward Norton for their individual contributions. The highly contested Film of the Year category also features Jake Gyllenhaal thriller 'Nightcrawler', and Professor Stephen Hawking biopic 'The Theory of Everything', alongside 'Boyhood', 'The Grand Budapest Hotel', 'Ida', 'Leviathan', 'Under the Skin' and 'Whiplash'. Alongside Michael Keaton and Timothy Spall in the Actor of the Year category, Benedict Cumberbatch has been nominated for his portrayal of Alan Turing in 'The Imitation Game', as well as Jake Gyllenhaal for playing the protagonist in 'Nightcrawler' and Eddie Redmayne for 'The Theory of Everything'. Julianne Moore ('Maps to the Stars' and 'Still Alice') will go up against Scarlett Johansson ('Under the Skin'), Essie Davis ('The Babadook') and Marion Cotillard ('Two Days, One Night') to be crowned Actress of the Year, while Golden Globe nominee Emma Stone will fight it out against Agata Kulesza ('Ida'), Jessica Chastain ('A Most Violent Year'), Marion Bailey ('Mr Turner') and Patricia Arquette ('Boyhood') in the Supporting Actress of the Year category. The nominations - which were voted on by 140 of the UK's leading print, online and broadcast film critics - were announced today (16.12.14) by Jeremy Irvine and Phoebe Fox of 'The Woman in Black: Angel of Death'. The 35th London Critics' Circle Film Awards will be hosted by Alice Lowe and Steve Oram on 18 January 2015 at the May Fair Hotel, London.